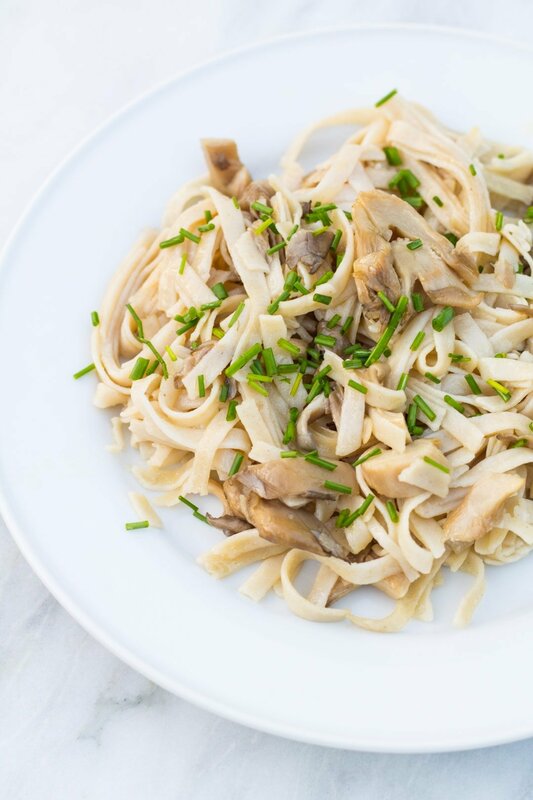 This simple Low FODMAP Garlic Mushroom Pasta recipe incorporates garlic-infused olive oil and (low FODMAP) oyster mushrooms for one delectable dish! 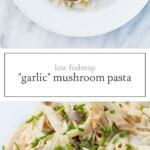 Hey there, low FODMAP friends! Have you heard the good news? Oyster mushrooms were recently tested by Monash and deemed safe for the elimination phase. Woohoo! Naturally, I had to make use of this delicious “new” low FODMAP food. 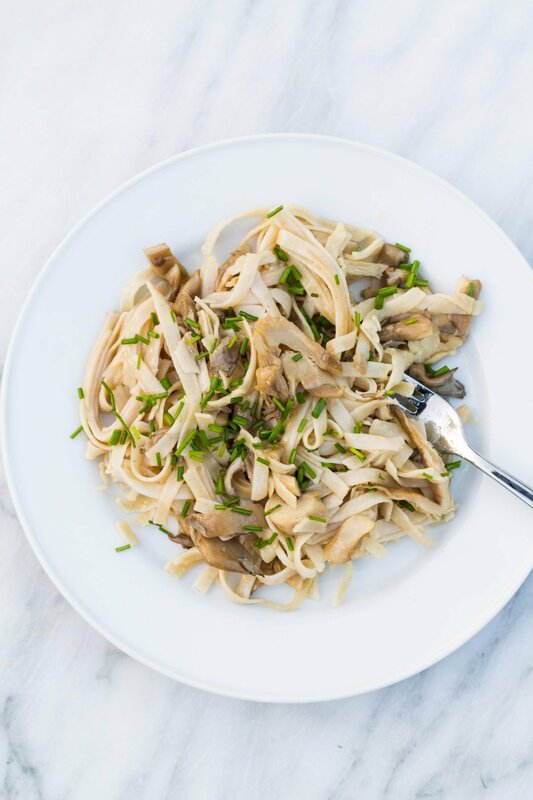 So, oyster mushrooms are the star of today’s savory and satisfying Low FODMAP Garlic Mushroom Pasta recipe. I recently whipped this dish up for a date night in with my husband and served it with a simple romaine salad tossed with my Low FODMAP Lemon Vinaigrette and a glass of white wine. Yum! Cook pasta according to package instructions. Once done, rinse, drain and set aside. Meanwhile, heat 2 Tbsp. butter in a large skillet over medium-high heat. Add mushrooms and cook, stirring frequently, until mushrooms are tender. Remove mushrooms from heat until pasta is done. Add cooked pasta, remaining 2 Tbsp. butter and olive oil to cooked mushrooms. Return skillet to medium heat, stirring until butter is melted and everything is hot. Season with salt, to taste, and serve topped with optional chives. Oyster Mushrooms: A low FODMAP serving is 1 cup or 75 grams. Oyster mushrooms are currently the only type of mushroom that is currently considered low FODMAP. I read that mushrooms are high FODMAP and to avoid them. I’m confused now. Help this newbie.